Leading Decision Making in Your School is a two-day course, delivered by Peter Johnson, who has had a diverse career with the Department of Education as a teacher, primary school principal, demographic planner and human resource practitioner. One the first day, members were led through a combination of delivery of content, discussion of the elements of decision making, analysis of historic scenarios and exploration of hypothetical scenarios. On May 1 the same members will gain a sound knowledge of the elements of decision making in schools, including evidentiary basis for decisions, a framework within which to make those decisions and practical examples of how decisions may be analysed and implemented. The course will run again on 9 September/29 October. The one-day course, Leading the Lifting of Achievement in Years 7-12, presented by Professor Wayne Sawyer, Joanne Jarvis and Jane Sherlock, was held during term 1. The course will run again at Blacktown on 9 May. Leading Aboriginal Education, also a one-day course, was conducted in Surry Hills in April. The course will be held again in Newcastle on 26 July. 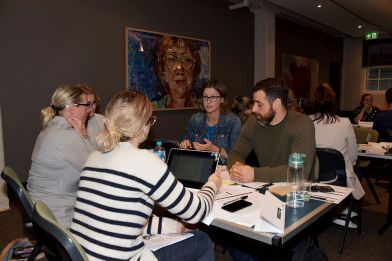 Completing the Highly Accomplished accredited courses will contribute hours of NSW Education Standards Authority (NESA) Registered professional development towards maintaining Proficient or Highly Accomplished Teacher Accreditation in NSW. Visit cpl.asn.au for more information on the courses accredited at Highly Accomplished.